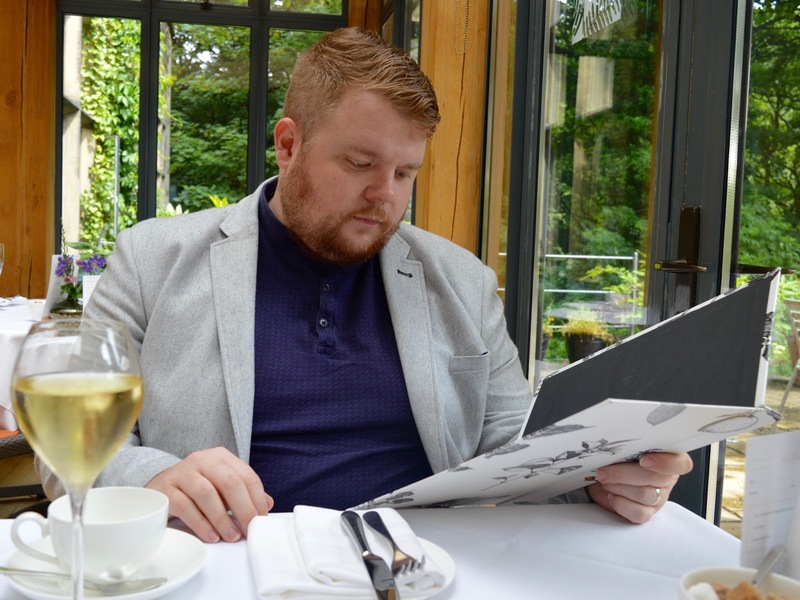 I've often mentioned that Jesmond Dene House is my favourite hotel in Newcastle. I think I've stayed here around 5-6 times now and I'm forever recommending it as a place to stay or enjoy Afternoon Tea. Most people in the know will say that JDH serves up the best Afternoon Tea in Newcastle and I have to say, I agree. I've enjoyed Afternoon Tea here on many occasions and the standard of service, ambience, presentation and quality is always second to none. I was therefore a little worried to hear that their menu had changed. Why change something that is already perfect? 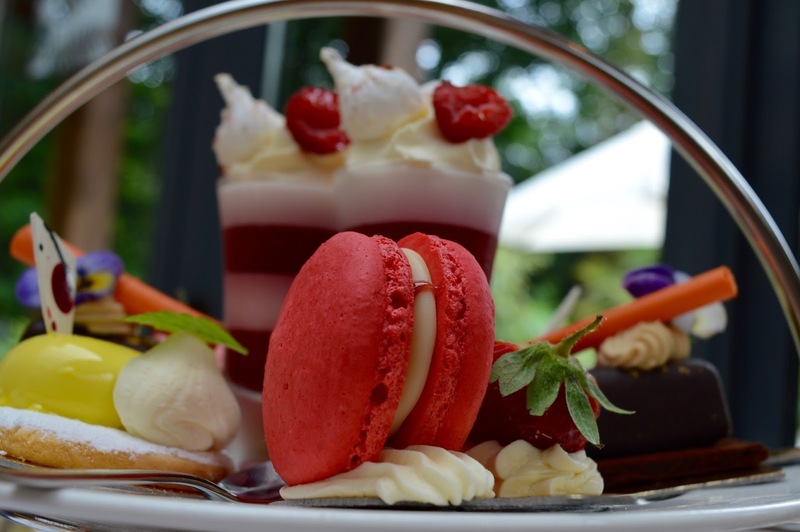 There's no getting away from the fact that Afternoon Tea at Jesmond Dene House is one of the more expensive teas in the region - the £25 price tag is the same as 5* Rockliffe Hall and if you'd like to include a glass of Champagne, you'll be charged £37.50 per person. 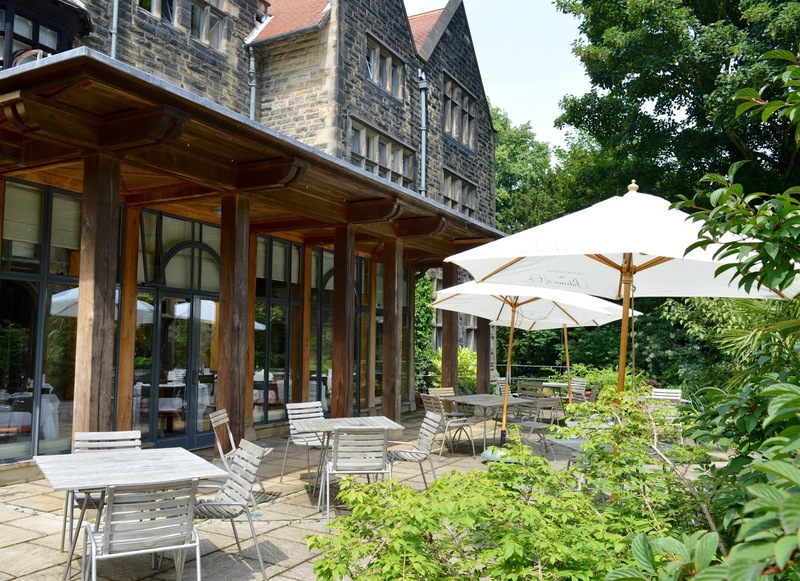 Yes this is expensive but Jesmond Dene House isn't exactly the kind of place you book on a whim or just call into - Afternoon Tea requires pre-booking and to me, it's exactly the kind of place to book if you are looking for a long catch up with a friend, are celebrating a special occasion or simply fancy a treat. You aren't just paying for the delicious food, you are paying for the service, ambience and location too. Steve and I were served the new Champagne Afternoon Tea in the Conservatory. After a week-long heat wave we had been hoping to sit out on the terrace but thanks to a couple of thunderstorms this just wasn't meant to be this time. The conservatory is light and airy and feels very 'grown up'. If you have children with you or are looking for something a little more relaxed, the lounge area is perfect and we enjoyed Afternoon Tea with Jack in this area a few years ago. Finally, for something more formal, I'd definitely go with the main restaurant. 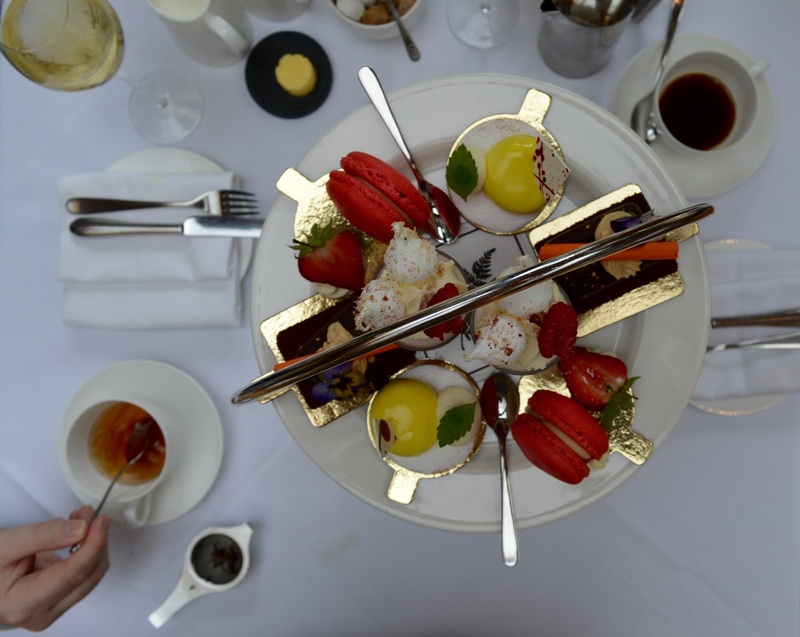 Adding a glass of Champagne to your Afternoon Tea really does enhance the experience and if you're celebrating, I'd definitely recommend this option as it adds to the sense of occasion. Starting with the savoury tier, we enjoyed smoked mackerel and egg plus chicken, avocado and rocket sandwiches, asparagus and salmon quiche plus sausages rolls. 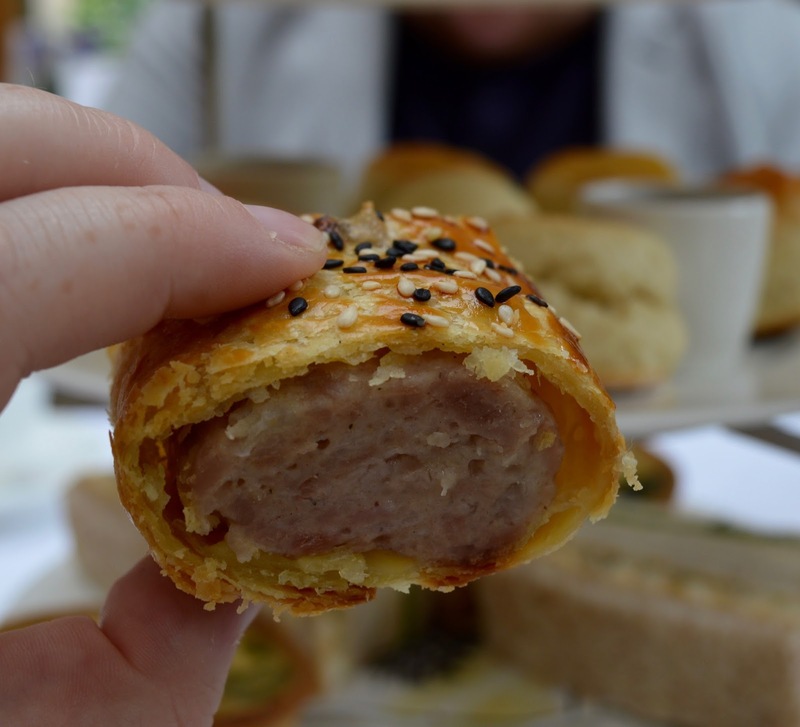 I must say I raised my eyebrows at the mention of sausage rolls - not exactly in keeping with the traditional surroundings and an authentic experience. 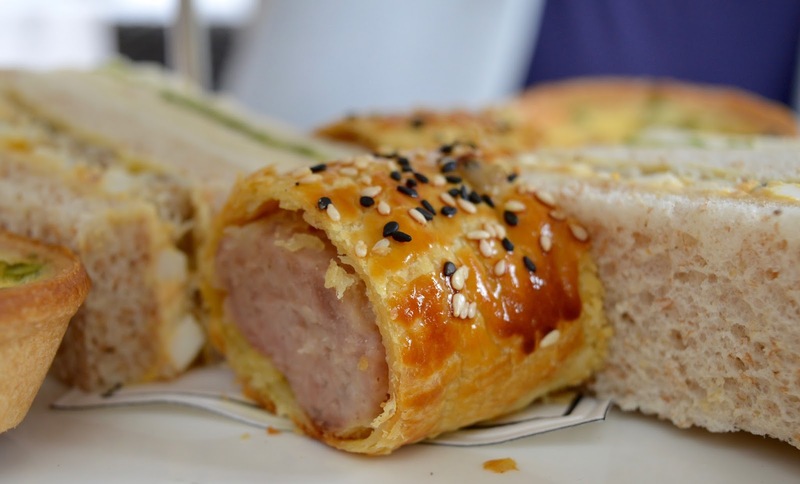 This sausage roll really had the wow factor though, served warm and fresh from the over it was pretty much the best sausage roll I've ever tried and actually a very welcome addition. 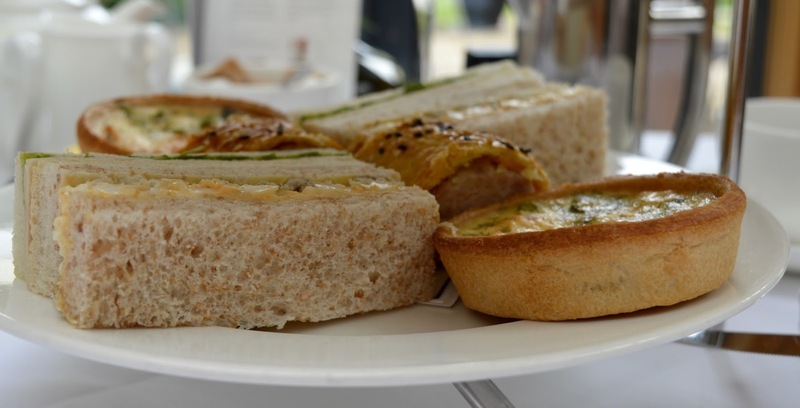 The bread used in our sandwiches was lovely and soft (often I find it can be a little stay) and the pastry in the quiche was perfectly cooked. 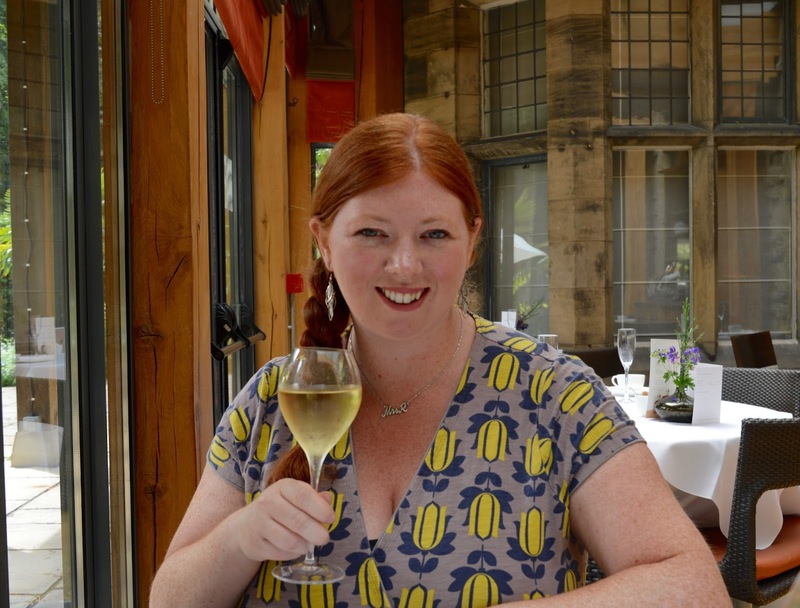 This is what you are paying for at Jesmond Dene House - perfection. Onto the scone course and you are served a total of three mini scones alongside butter, clotted cream and two types of homemade jam. 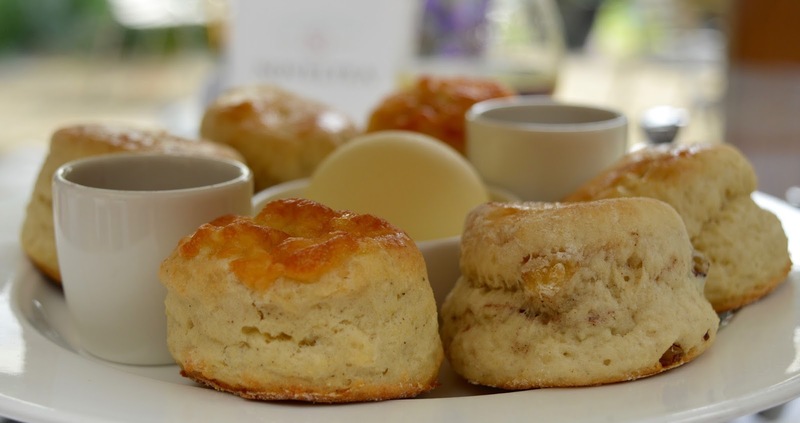 The scones are nice and delicate and not too stodgy so you don't feel too greedy eating all three. The cheeses scone was definitely my favourite. I have mentioned in Afternoon Tea reviews in the past that I get annoyed when my cakes get covered in sandwich and scone crumbs as you are usually only provided with one plate. They've thought of everything at JDH and each treat is presented on it's own miniature plate so this isn't a problem. All of the miniture cakes were divine but the chocolate orange truffle was to die for and easily the best dish of the day for me. It was so rich and chocolatey and definitely a real treat. 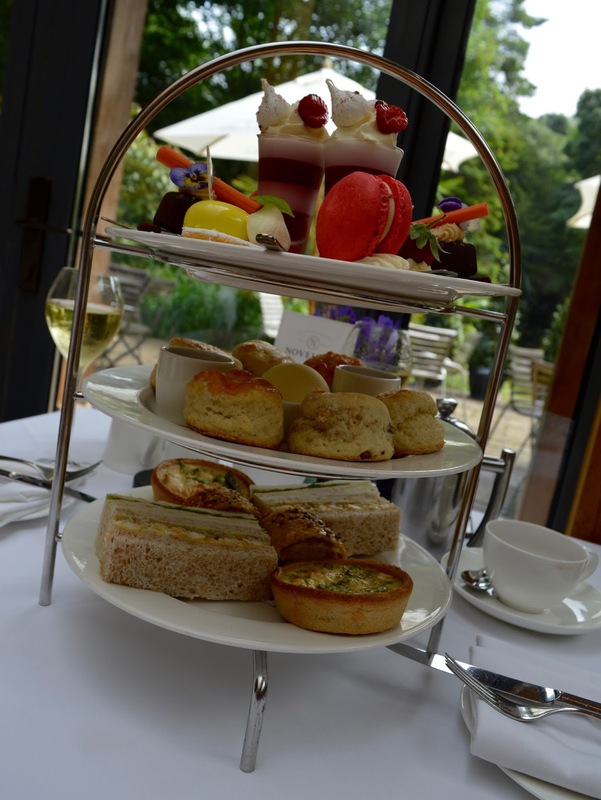 Afternoon Tea at Jesmond Dene House is a leisurely affair and a real experience. You're never rushed and even when you're finished you can enjoy more drinks or perhaps enjoy a stroll in the hotel's beautiful gardens. My advice would be not to book Afternoon Tea if you only have an hour or so but to make sure you have a full afternoon free to really make the most of the experience. Afternoon Tea is available from 12noon - 4pm Monday-Saturday and from 3pm-5pm Sunday. Pre-booking is essential. 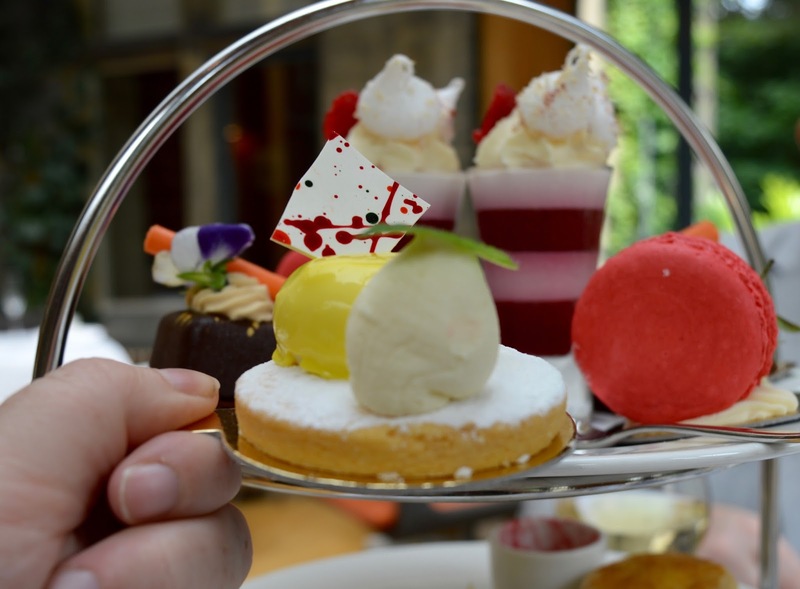 Afternoon Tea is priced at £25 per person with the option to add NovelTea, a special cocktail, Prosecco or Champagne at an additional cost. A discretionary 10% service charge is added to all food and beverages. 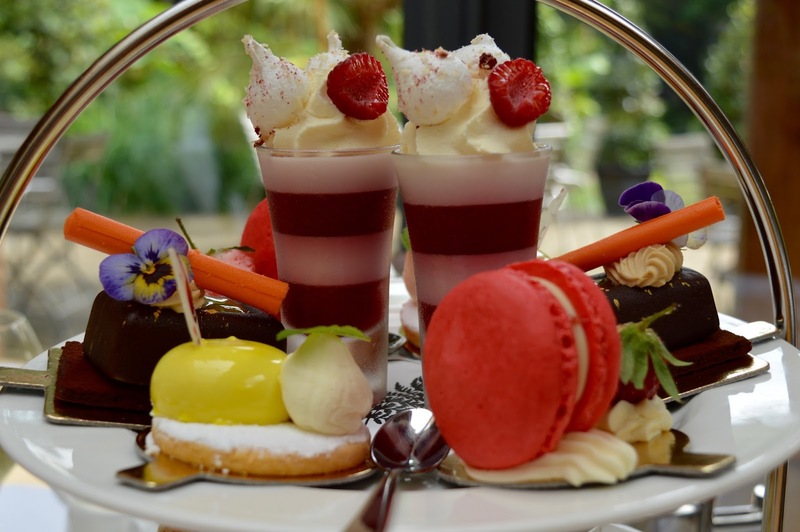 You can buy Afternoon Tea as a gift voucher here and book a table online here. JDH is my favourite afternoon tea too but I've not been back for it for a couple of years. I must return and try the new menu. I've never stayed there unfortunately - one for the bucket list. 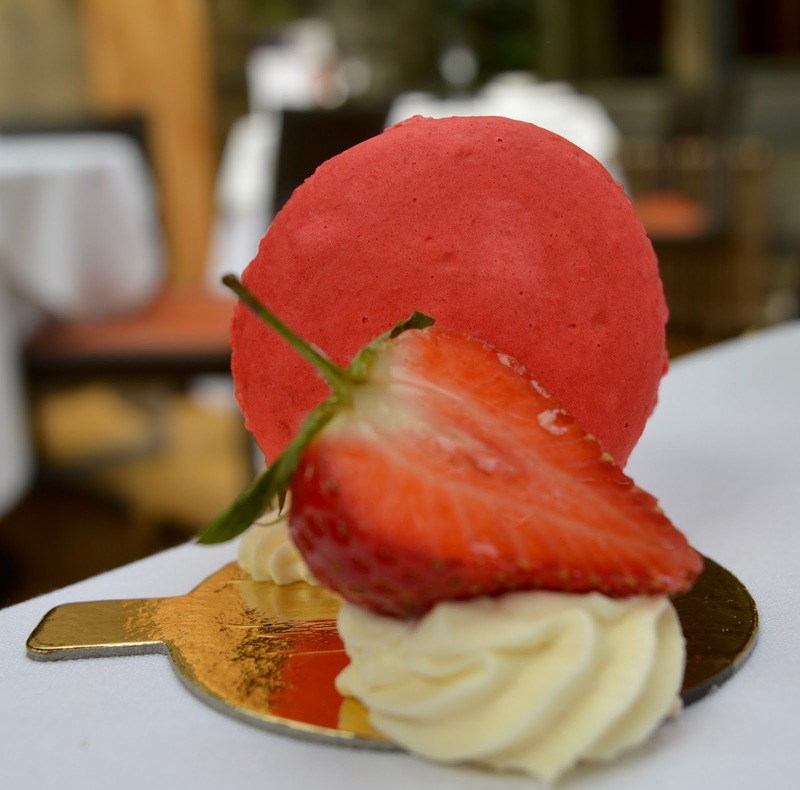 Strawberry and Elderflower macaron sounds unbelievable!!! I haven't been there for afternoon tea before but it looks DIVINE. Rather steep for a glass of champagne though - I hope it was real champagne and not prosecco! Wow, this looks amazing! 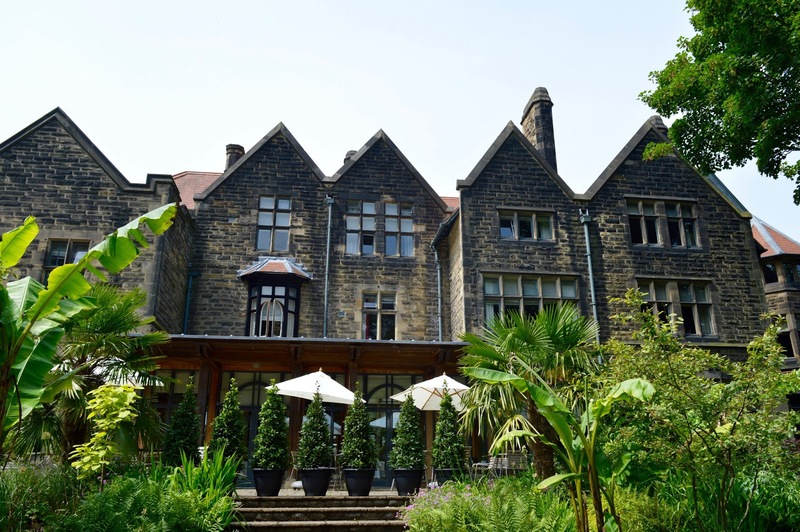 We were due to stay at Jesmond Dene House once, but couldn't because the children were ill. Now I'm doubly disappointed!